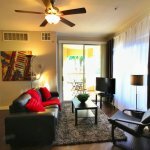 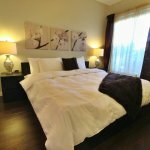 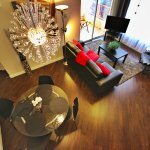 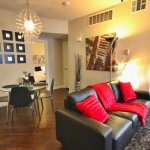 Check-in to this amazing fully furnished 1 bedroom/1 bath luxury short term rental located in the booming Southwest area of Las Vegas! 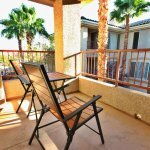 Easy access to I-215 let’s you get just about anywhere in the Valley fairly comfortably. 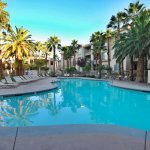 The Las Vegas Strip is just 7 minutes away! 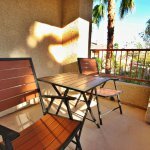 This beautiful condo is located on the top floor in the Vistana Condominium Complex. 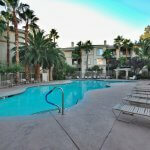 This community offers residents 3 pools, Jacuzzi’s, a large fitness center, and a tennis court! 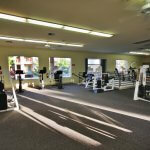 All within in a 24-hour guard gated community. 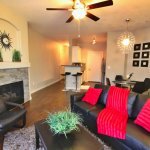 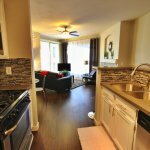 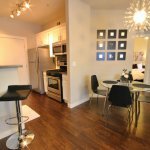 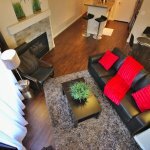 The interior of this 1-bedroom condo has been renovated with dark hardwood flooring throughout the unit and granite counter tops in the kitchen and bathroom. 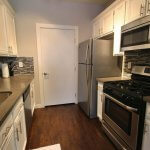 The kitchen come equipped with stainless steel appliances, white cabinetry, and a beautiful backsplash. 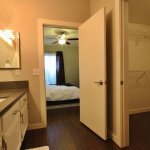 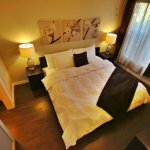 The bedroom includes a king sized bed with modern touches and a spacious bathroom with a walk-in closet. 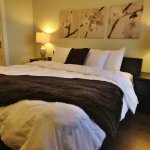 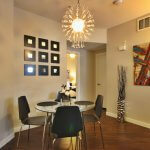 As with all of our rentals, this property is fully furnished with housewares, kitchenware, fresh towels and linens. 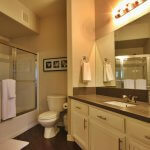 There is also a separate laundry room supplied with full sized washer and dryer. 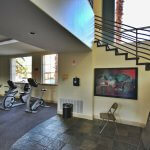 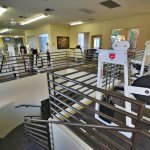 All the utilities are included in the affordable monthly rate, along with WIFI!